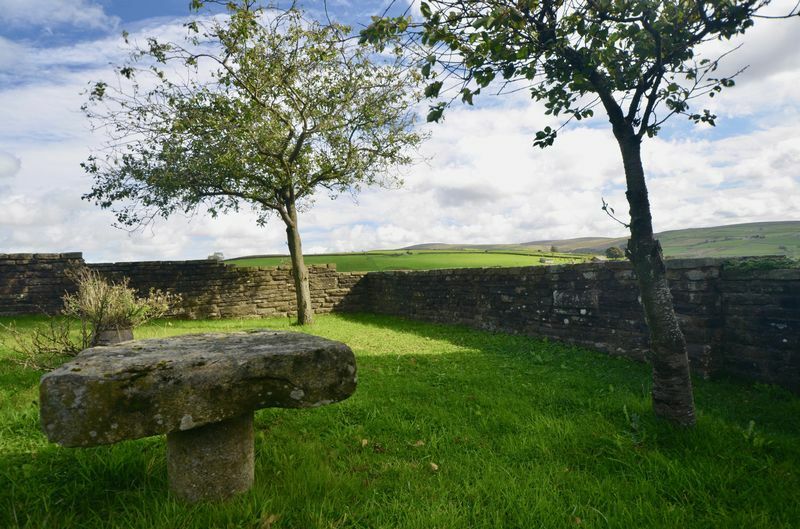 A rare opportunity to aquire a local piece of History. 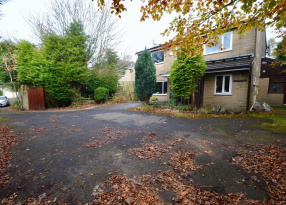 A substantial four bedroom semi detached property. 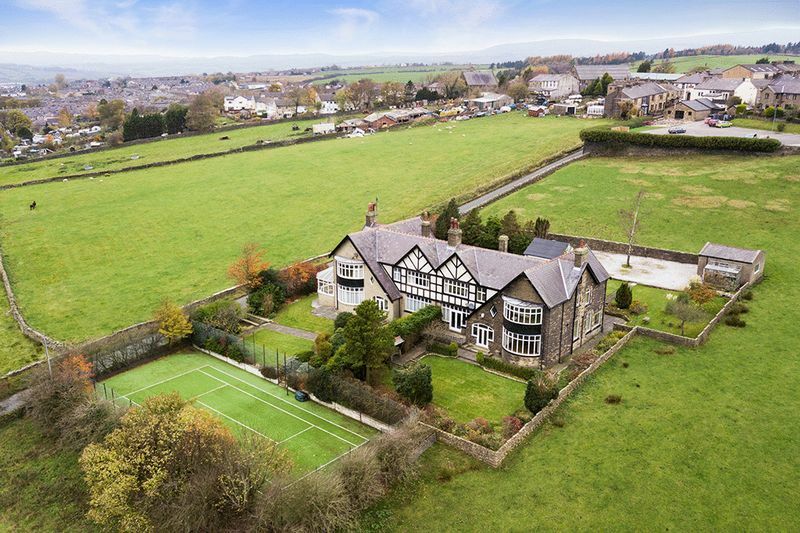 Privately built in the 1800s for the families of Mill owners in the Pendle region. 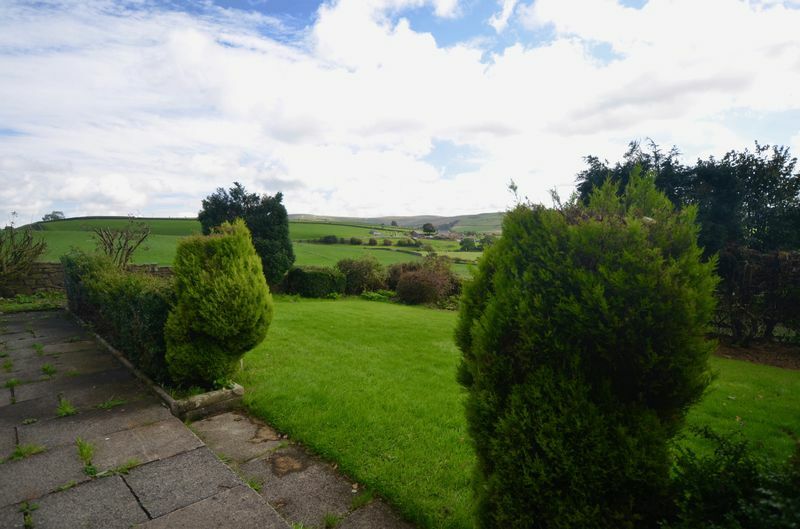 Surrounded by spectacular panoramic countryside views. 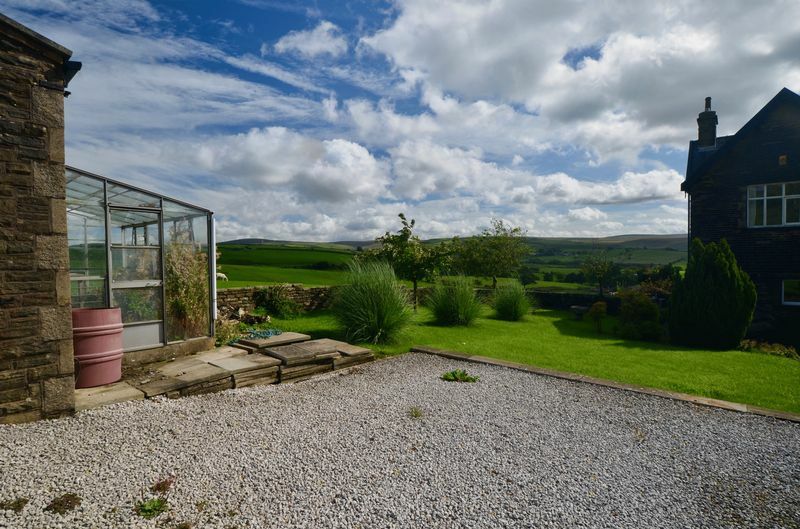 Superbly spacious living accommodation throughout. 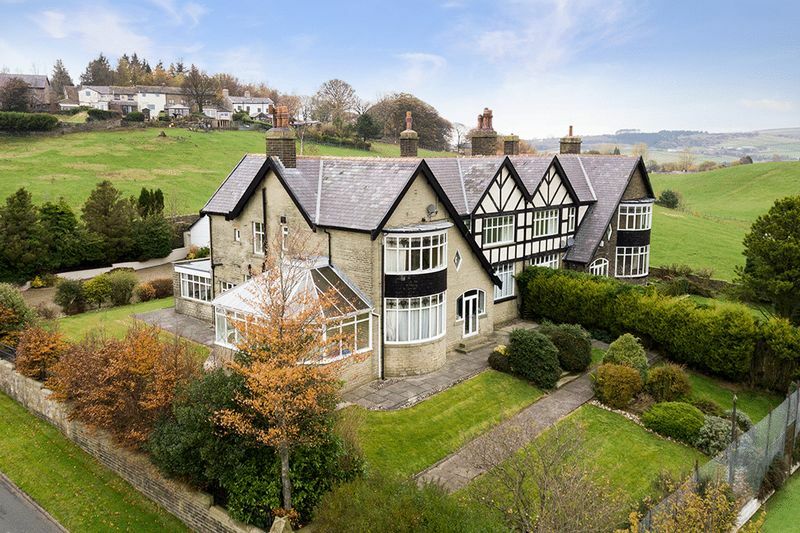 Brimming with original period and character features. 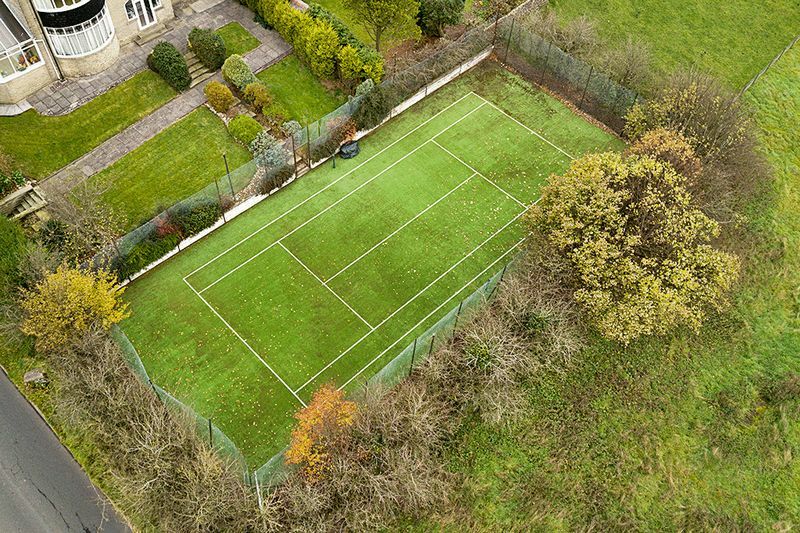 Private gated access leading to spacious forecourt and garage. 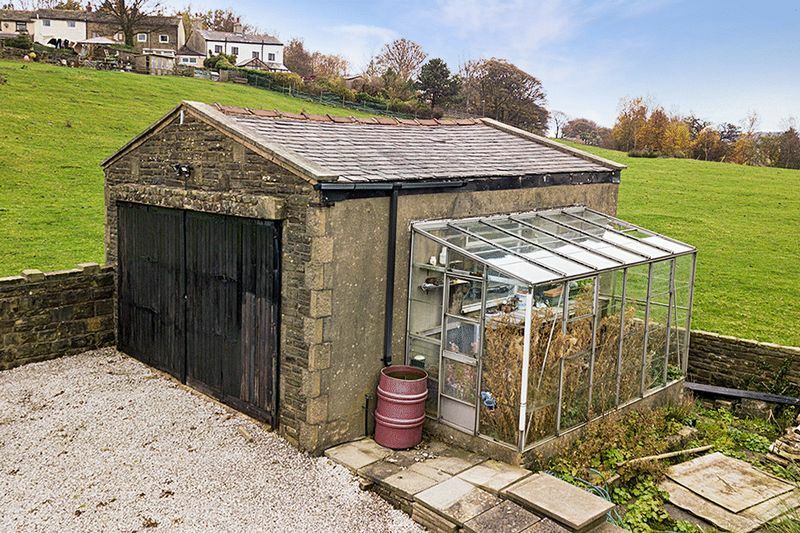 A delightful and rare opportunity to acquire a local piece of history built in the 1920's. 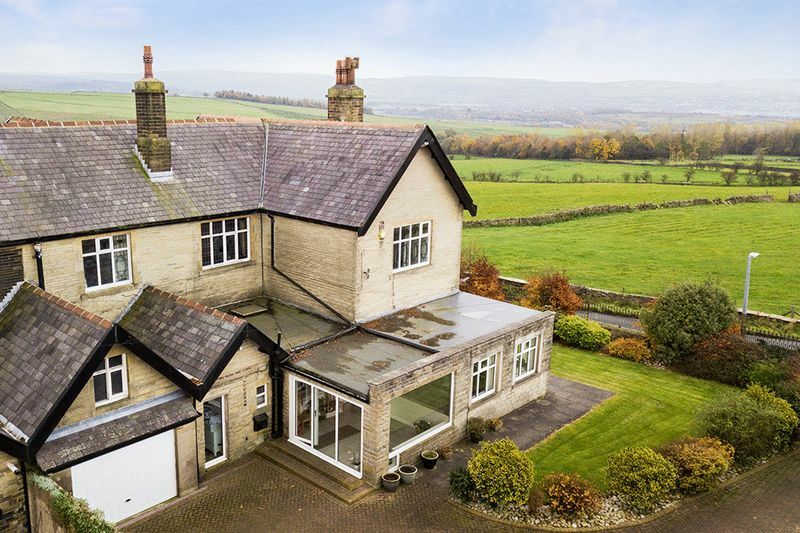 Blue Hills is a magnificent, character filled and privately built, four bedroom property, that is brimming with character, charm and most importantly potential. 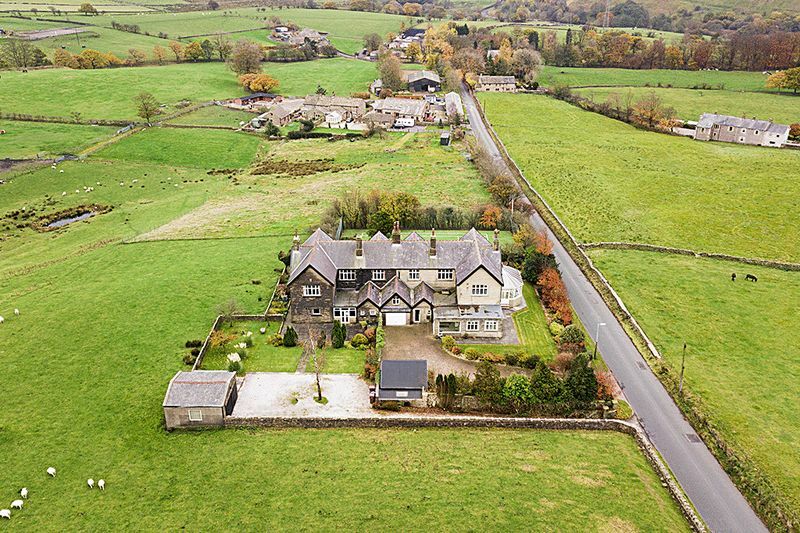 This property was built in the 19th Century for the families of the mill owners within the Pendle region. 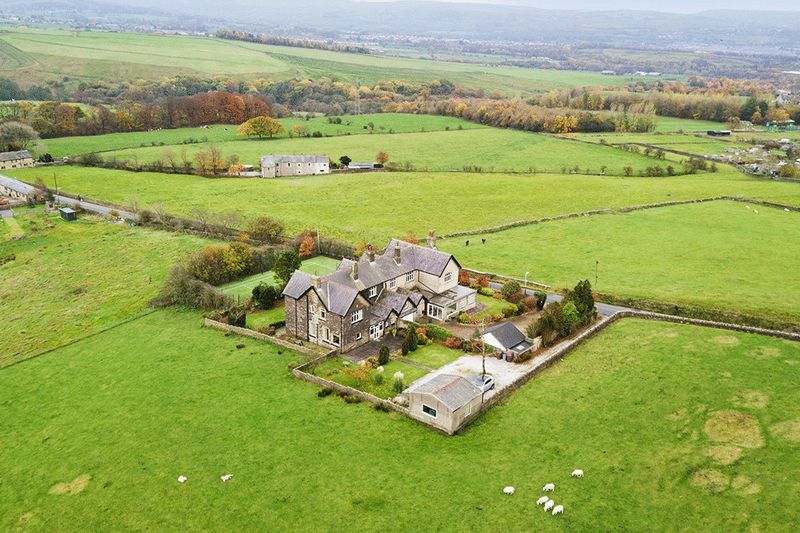 The property is situated within its own private grounds and has been designed perfectly to enjoy the spectacular countryside Valley views. 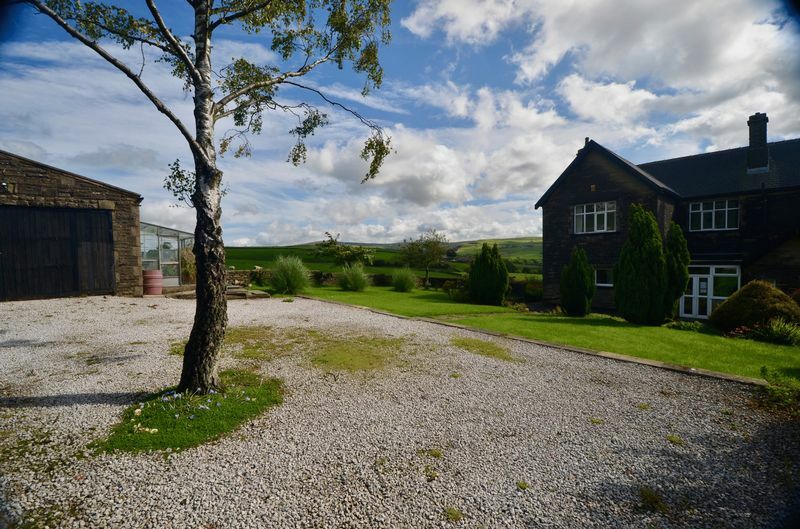 Whilst the property is situated in a peaceful and quiet semi-rural location, the M65 motorway network is within a short five-minute drive that goes on to provide access to all the North West city centres and highly regarded Ribble Valley and is in walking distance to equestrian facilities, Nelson golf club and bus routes. 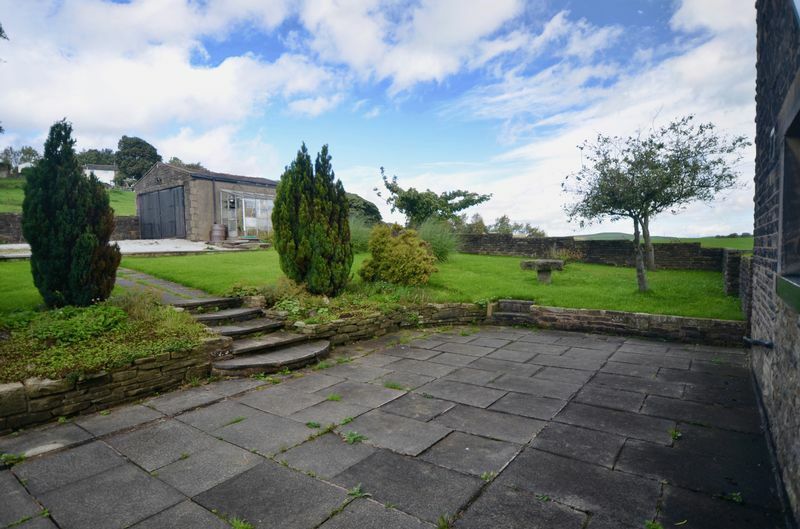 Internally comprising an Imposing stone front Entrance Porch leading to a Grand entrance Foyer, Lounge with doors to the stone veranda. 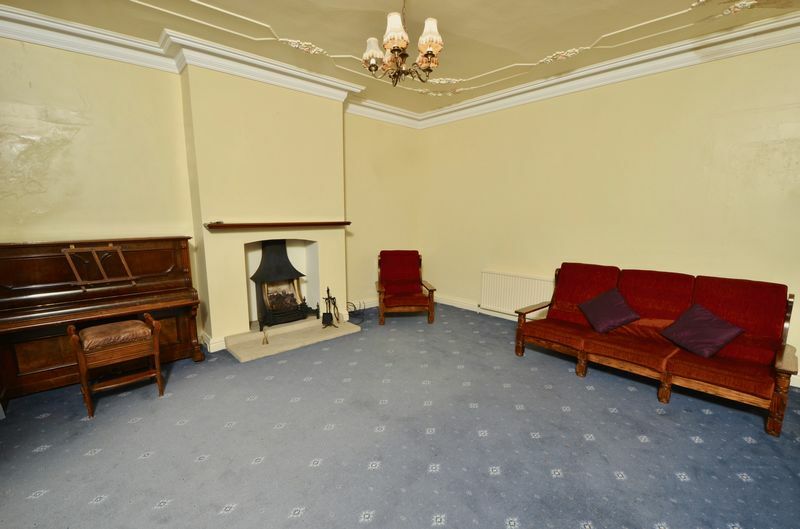 Sitting room with feature open fireplace. Dining room with feature wood burning stove. 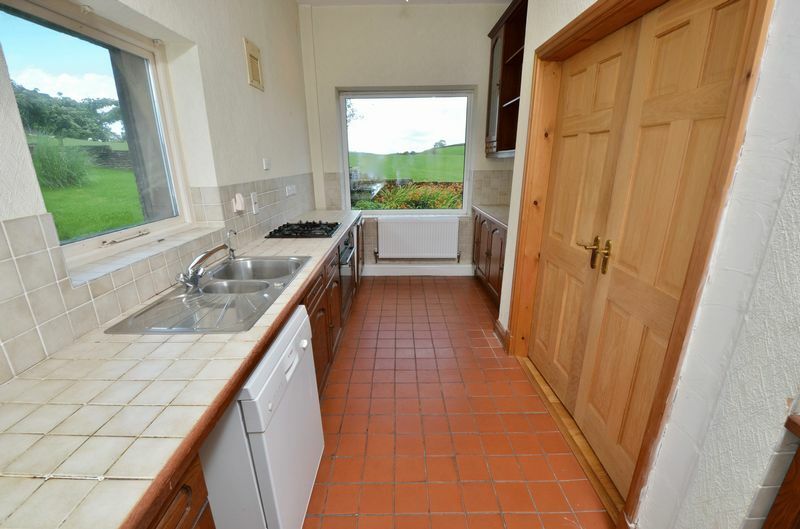 Breakfast kitchen, rear porch, two-piece cloakroom and L shaped utility room. 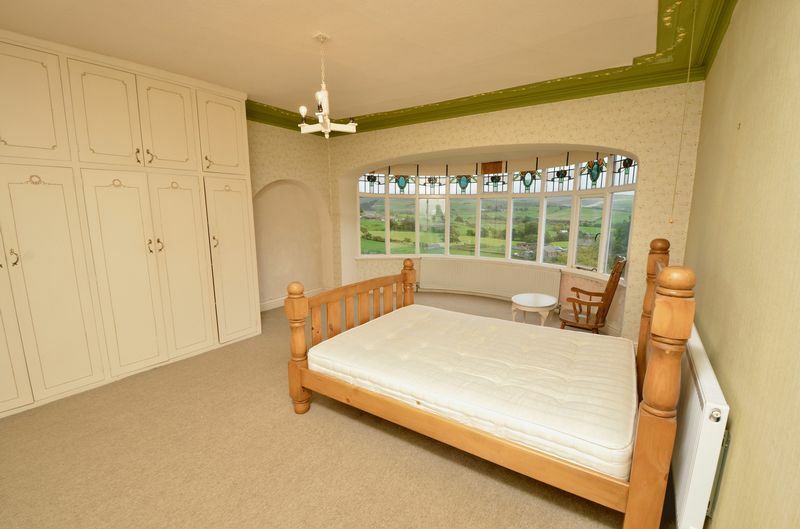 To the first floor is the master bedroom with a Jack and Jill modern four-piece en-suite bathroom. 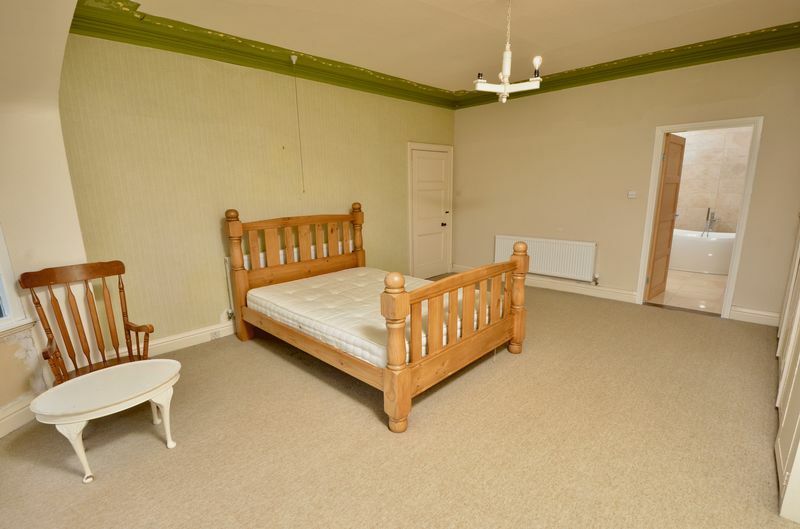 Guest room with three-piece en-suite and two further good size bedrooms. 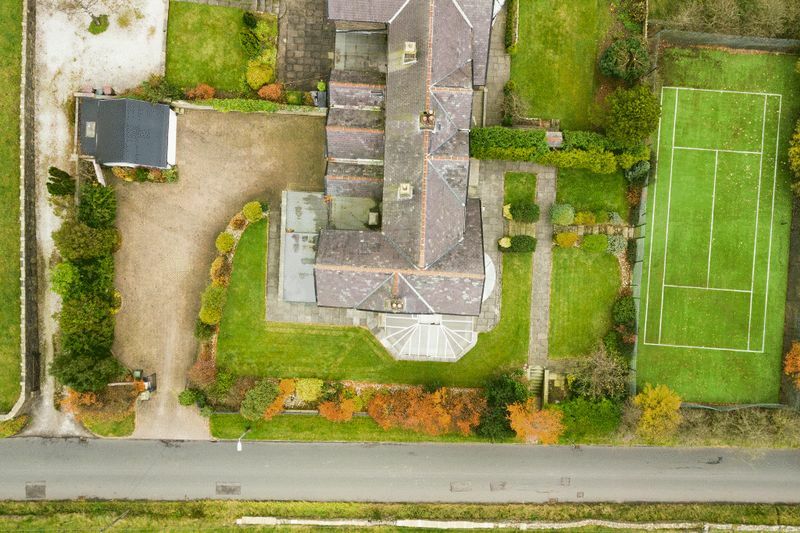 Externally the property is situated within its own private gardens, offering the perfect combination of stone patios, beautifully kept grass lawns and perimeter flower beds with an array of trees, hedges and shrubs. 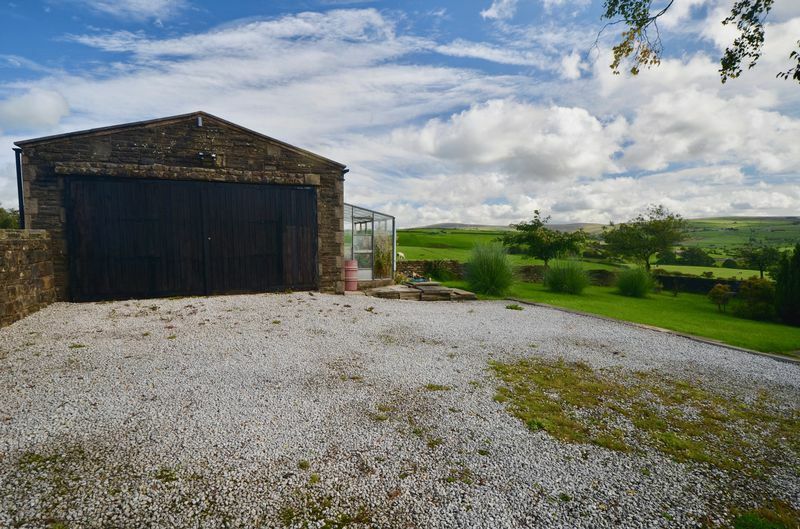 To the rear of the property is a private carpark that can be used for a caravan or motor home together with a detached garage. 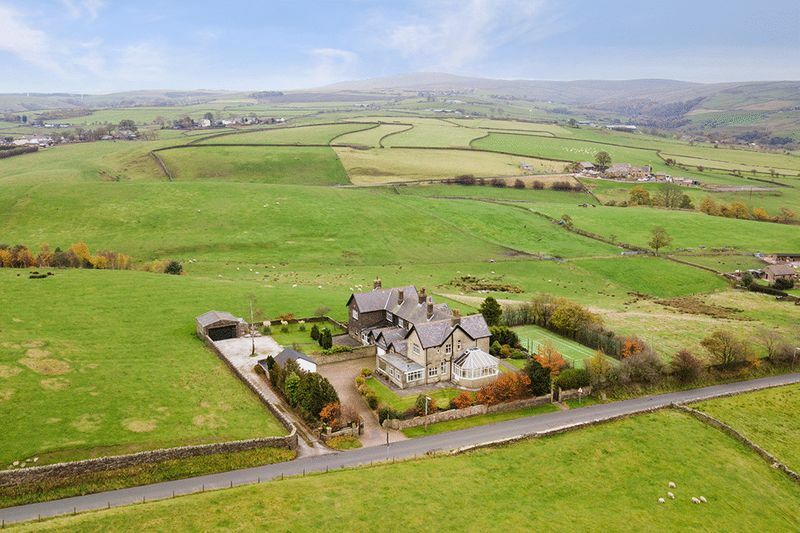 It is believed that approx 23 acres of grazing land may be available for rent or for sale. 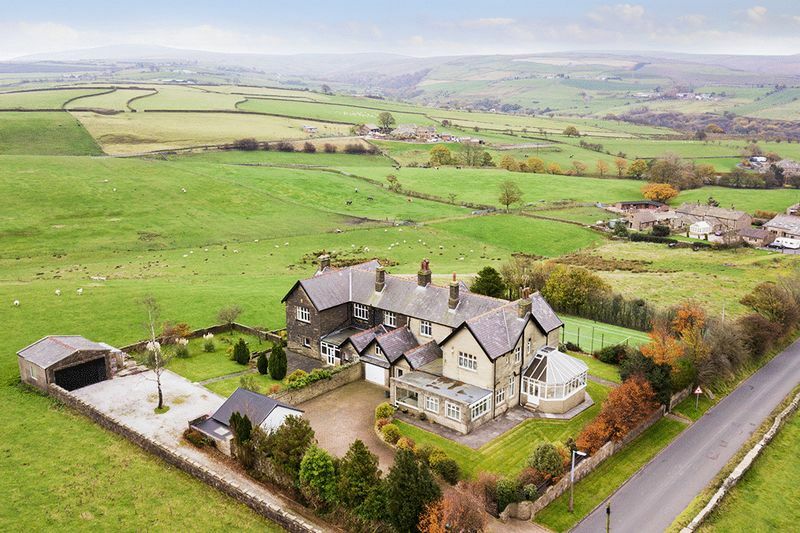 For further information or to arrange a highly recommend accompanied viewing with Duckworth's Estate Agents representatives please contact our Burnley Branch on 01282 412777. 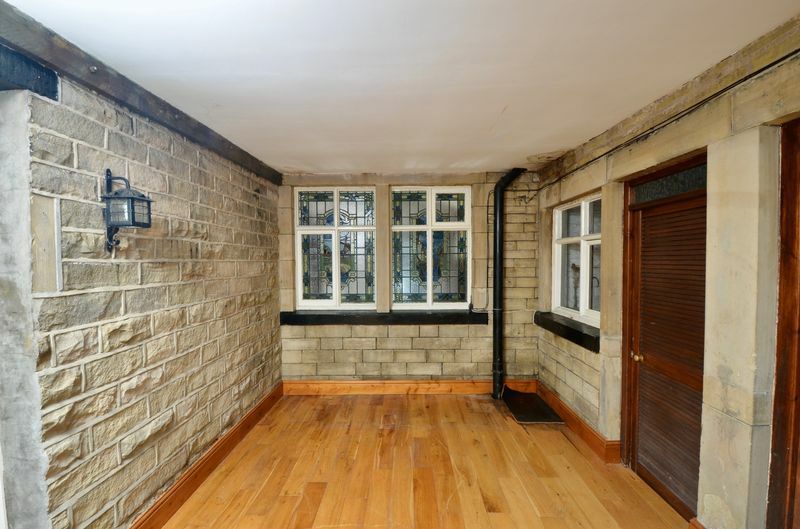 To the front of the property are timber framed entrance with double glazed fanlight above leading to the stone front entrance porch with feature lantern light and mosaic tiled flooring. Hardwood entrance door with stained glass inserts provides access to the entrance foyer. 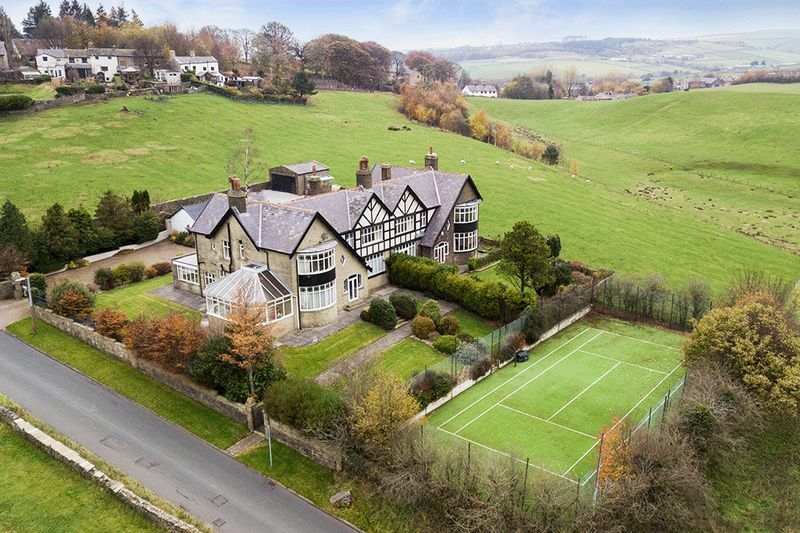 With solid oak flooring, central heating radiator, lighting power points, staircase leading to first floor accommodation and under stairs storage, picture rails with exposed decorative timber beams, feature hardwood leaded stain-glass windows. 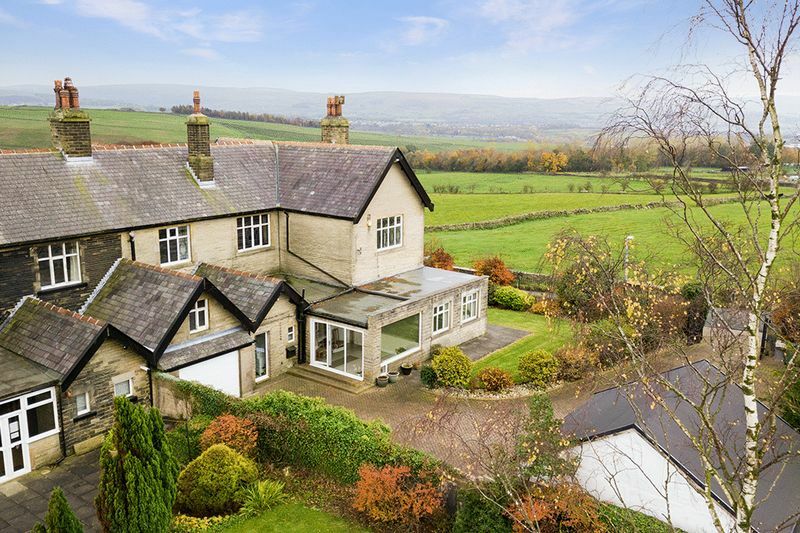 Two hardwood doors providing access to a stone veranda,central heating radiators, carpet flooring, power points and lighting, coving to the ceiling with feature ceiling rose and freezes. 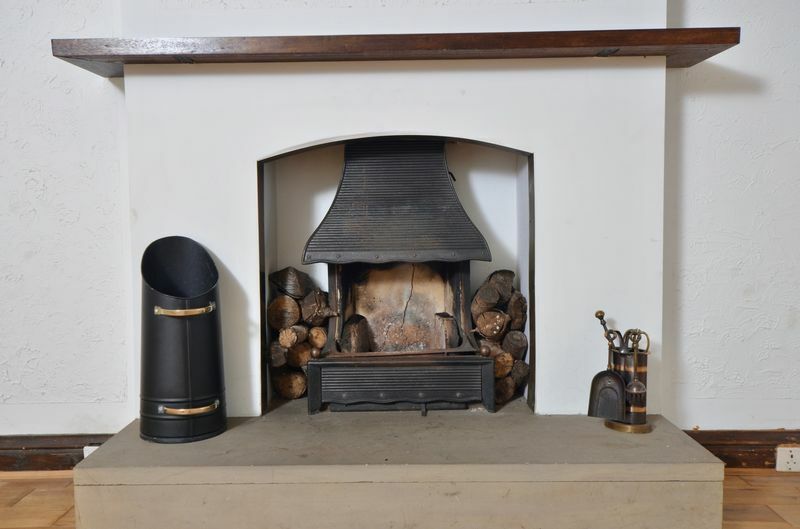 Open fireplace with stone hearth and oak mantle. 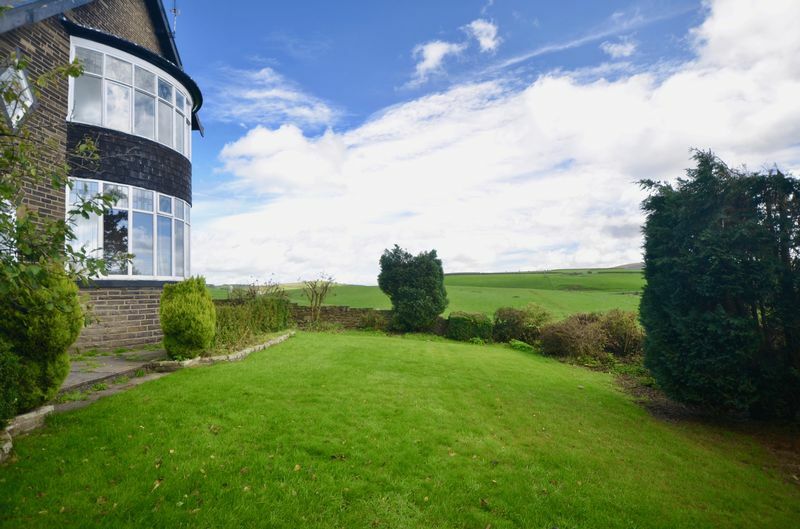 Measured into the feature hardwood double glazed bay window with stained glass fanlights overlooking stunning panoramic views over the countryside. Feature open fireplace with stone hearth and wood mantel. 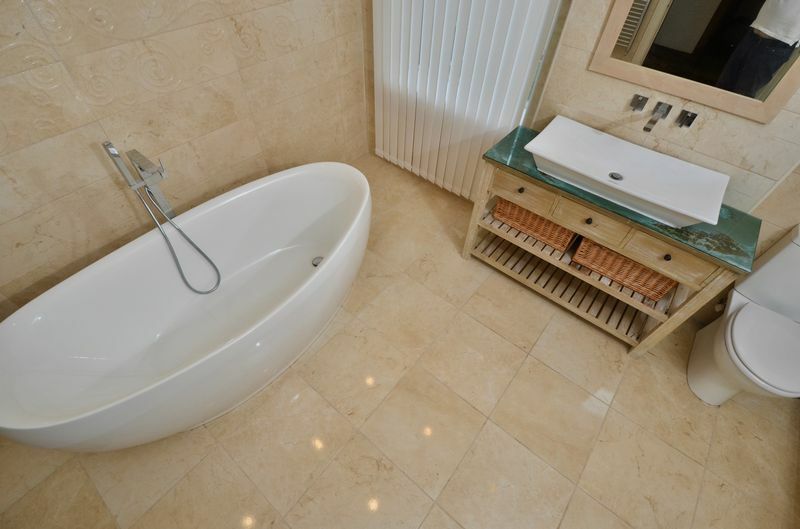 Central heating radiator, solid oak flooring, lighting & power points, T.V & telephone points. 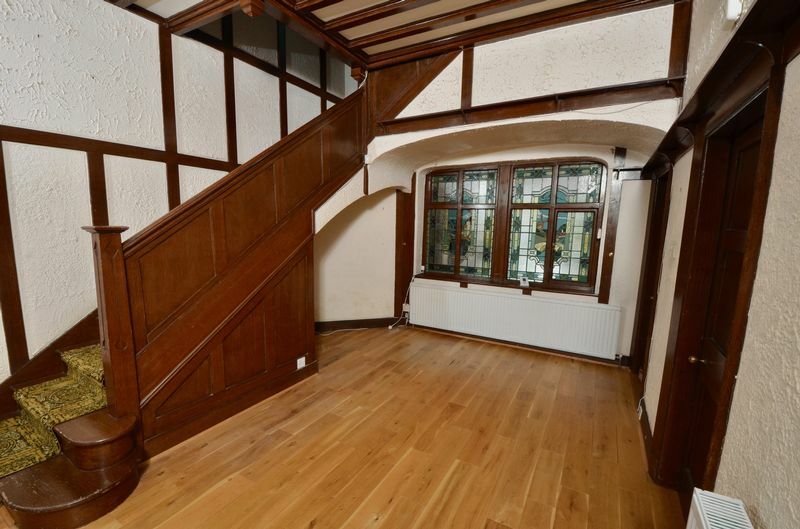 Coving to the ceiling, exposed decorative timber beams. 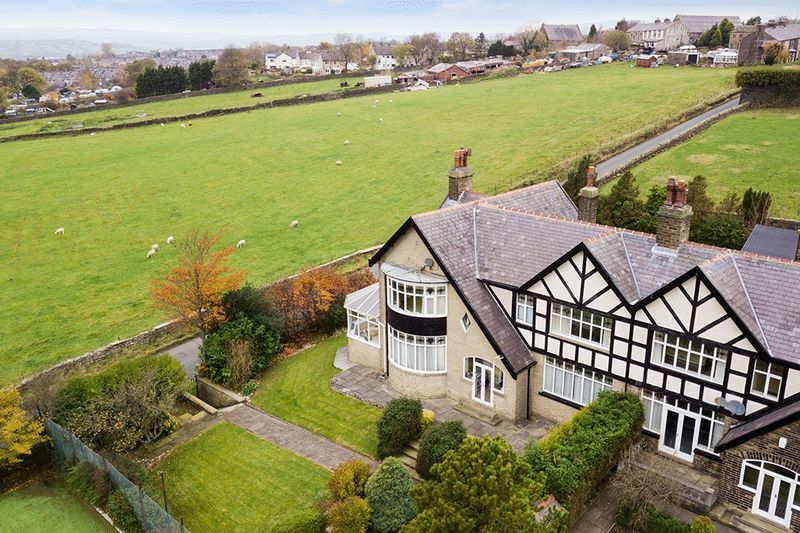 Solid Oak wood flooring, Feature multi fuel burning stove, central heating radiators, lighting, power points, coving to the ceiling, two wood frame double glazed windows to rear with spectacular views. Oak doors that provide access to the kitchen. 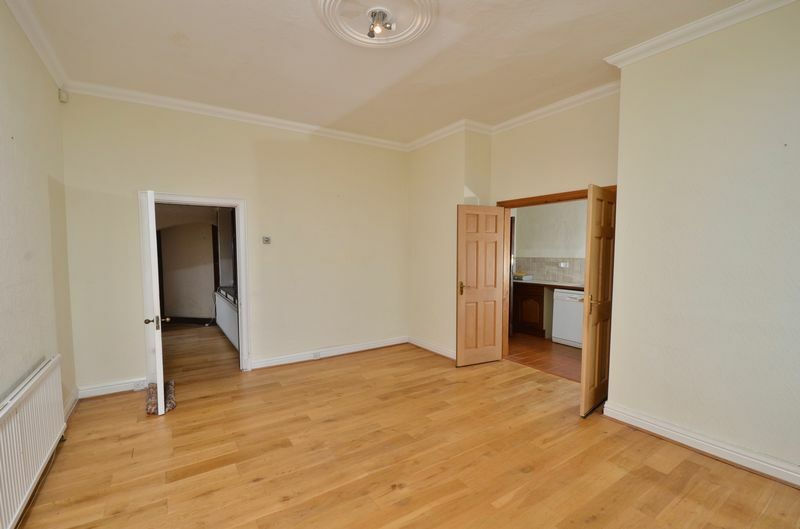 Solid Oak flooring, lighting, power points, two uPVC double glazed windows and Two uPVC doors leading to garden. Stone mullion timber framed window with leaded stain-glass inserts. 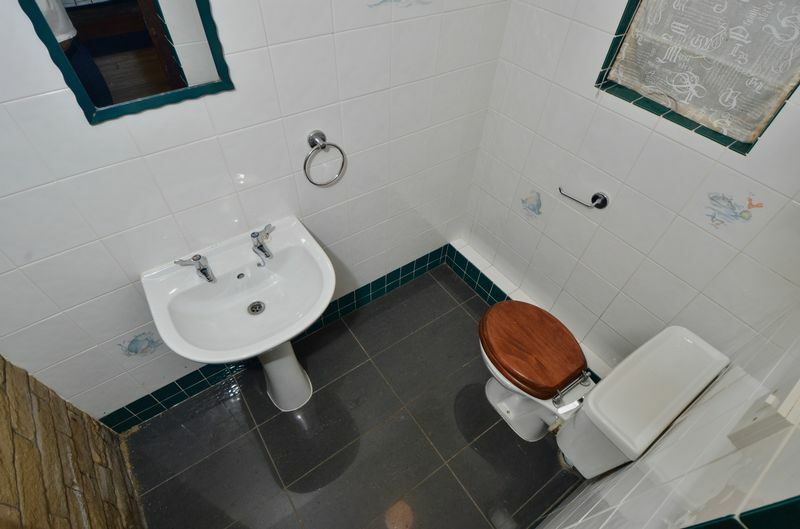 Two piece suite with low level W.C., wash hand basin, tiled elevations with tiled flooring,lighting and double glazed window to rear elevation. L shaped with stone and vinyl flooring, lighting, power points,wood double glazed window to rear elevation. skylight and integrated stainless steel sink, fixed shelving and combination boiler. 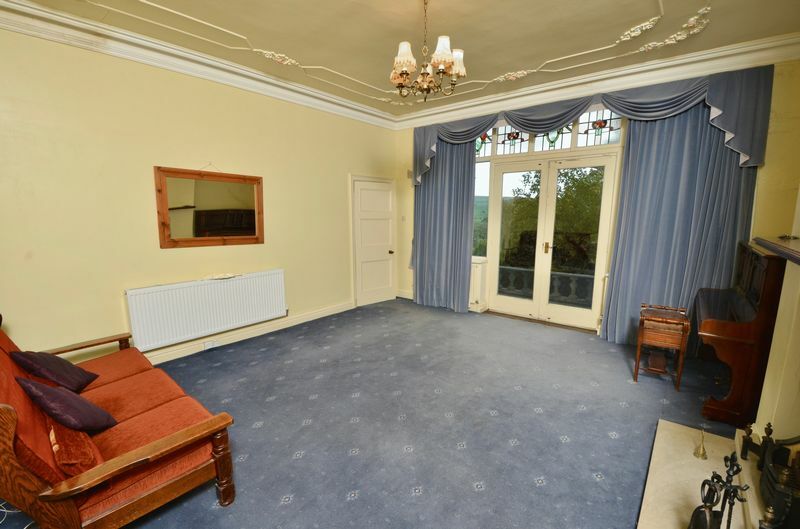 Carpet flooring, lighting and power points, Feature hardwood leaded stain-glass window and picture rail. 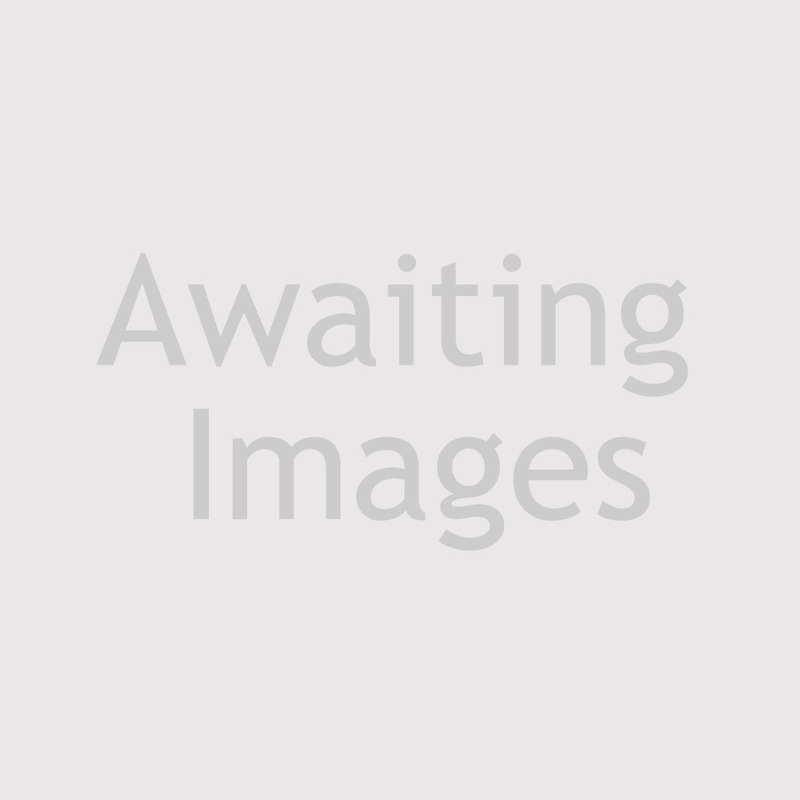 Freestanding slipper bath, with fixed rain shower head, double width shower cubical, vanity hand wash basin, with integrated mirror and shaving point, low level W.C., central heating radiator with two chrome towel rails. 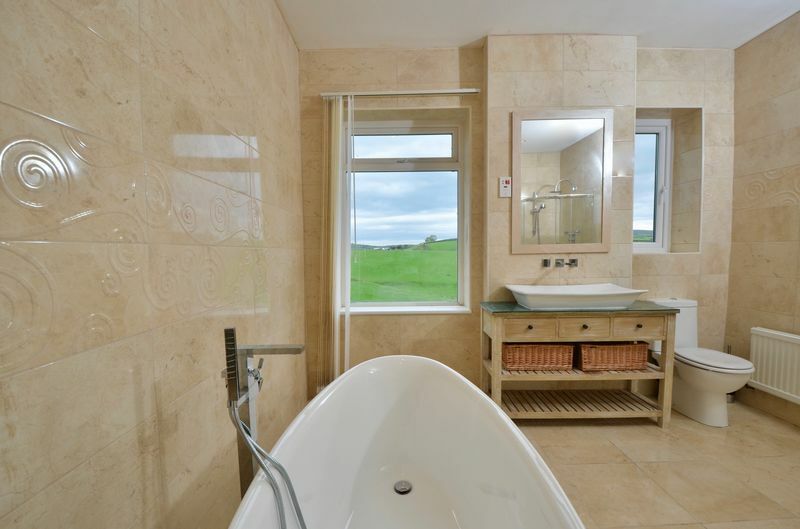 Tiled elevations, spotlights to ceiling and two uPVC double glazed windows with open views. 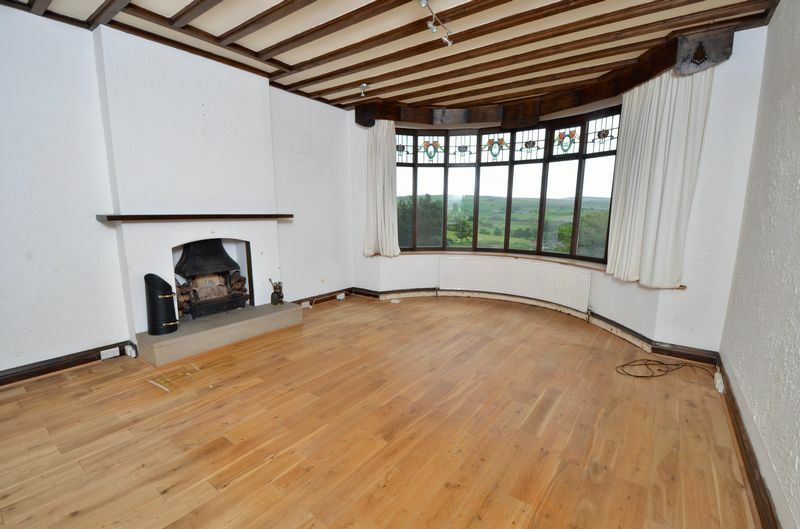 Hardwood double glazed bay window with stain-glass fanlights giving panoramic views over countryside. 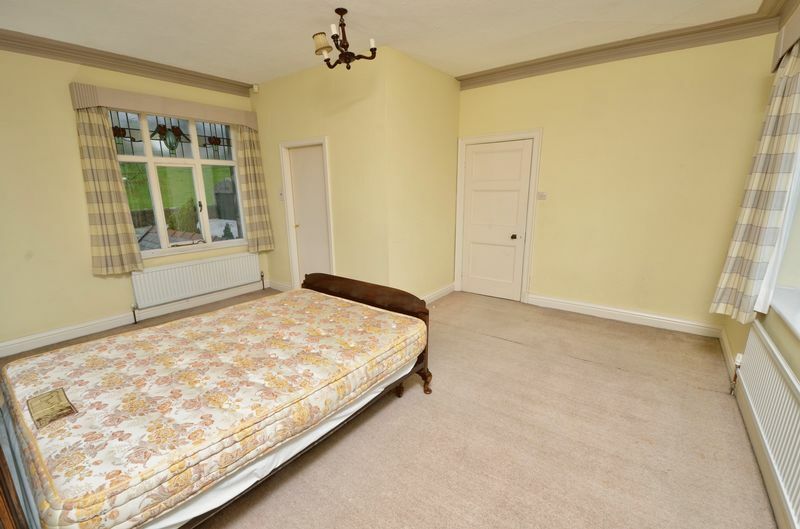 Carpet flooring, lighting and power points, central heating radiators, coving to the ceiling and fitted wardrobes. 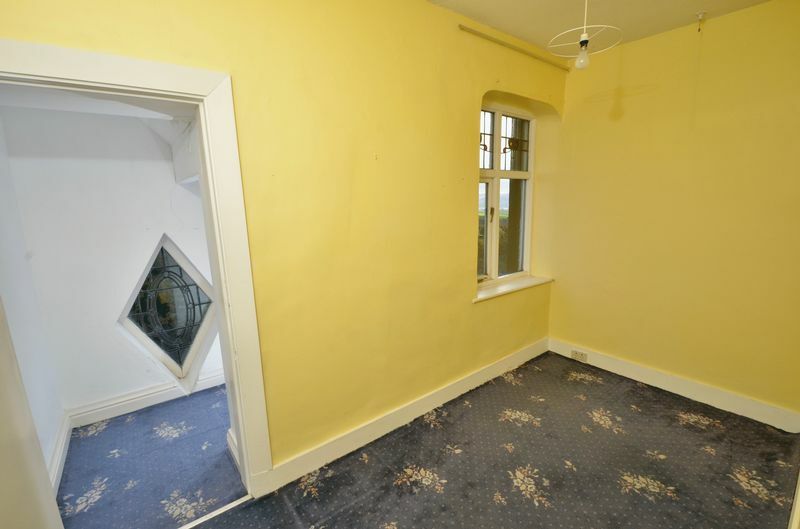 Double glazed windows with stain-glass fanlights to front and rear elevations, central heating radiator, carpet flooring, lighting and power points, coving to the ceiling with three piece en-suite. 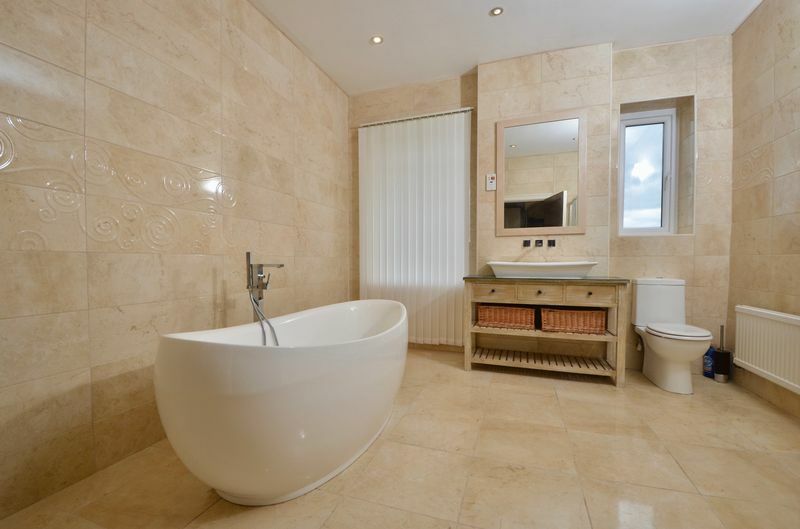 Three-piece suite comprising of mini bath with electric shower over the bath, low level W.C., pedestal wash hand basin, partially tiled elevations with a mosaic finish and tiled flooring, central heating radiator and coving to the ceiling. 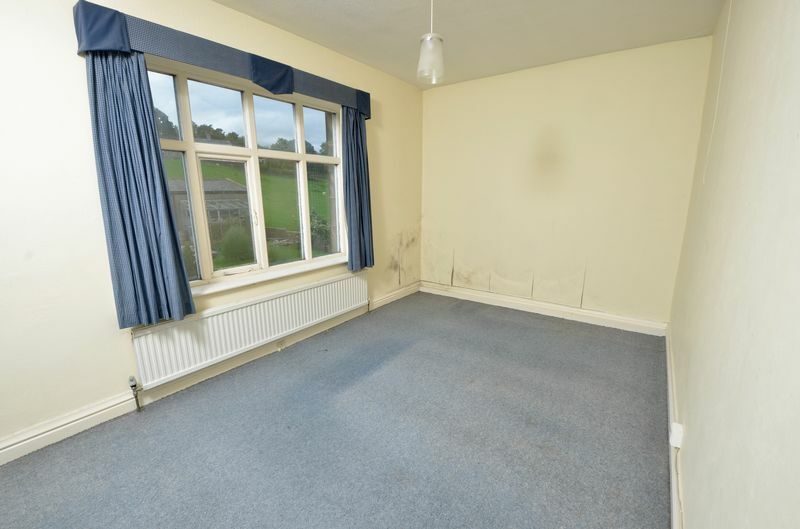 Double glazed window to rear elevation, central heating radiator, carpet flooring, lighting and power points. 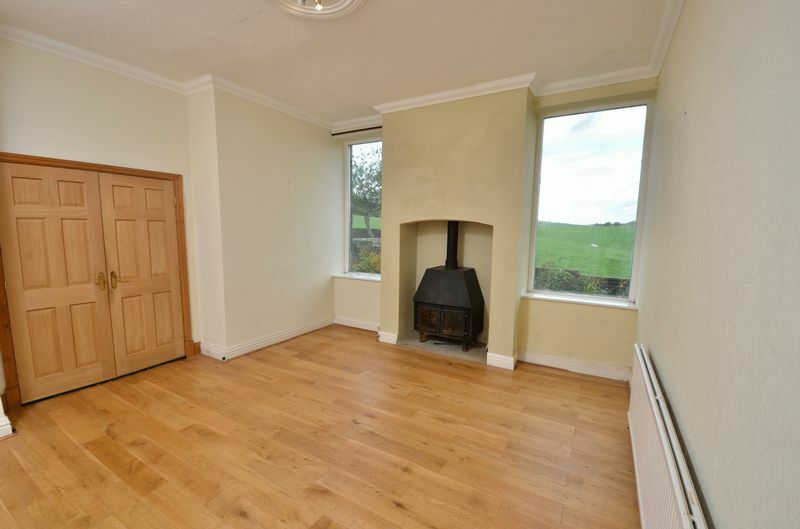 Double glazed window to front elevations, central heating radiator, lighting, power points, carpet flooring. leading to dressing room. 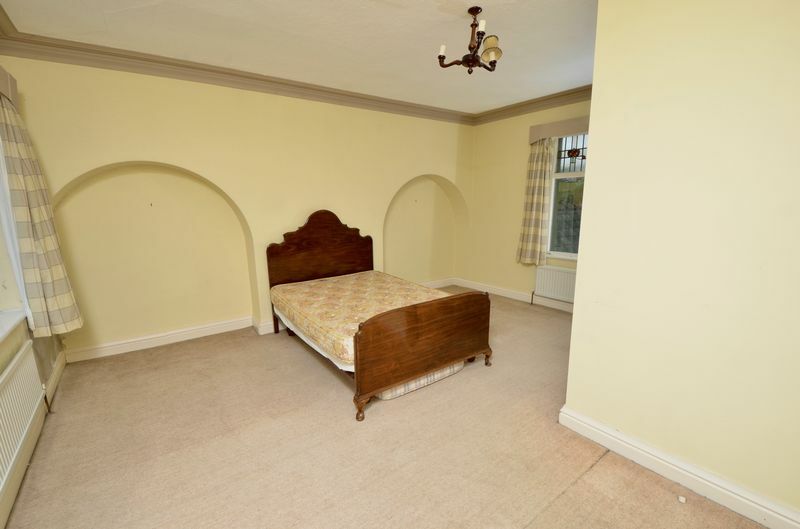 Carpet flooring, feature diamond shaped stain-glass window. 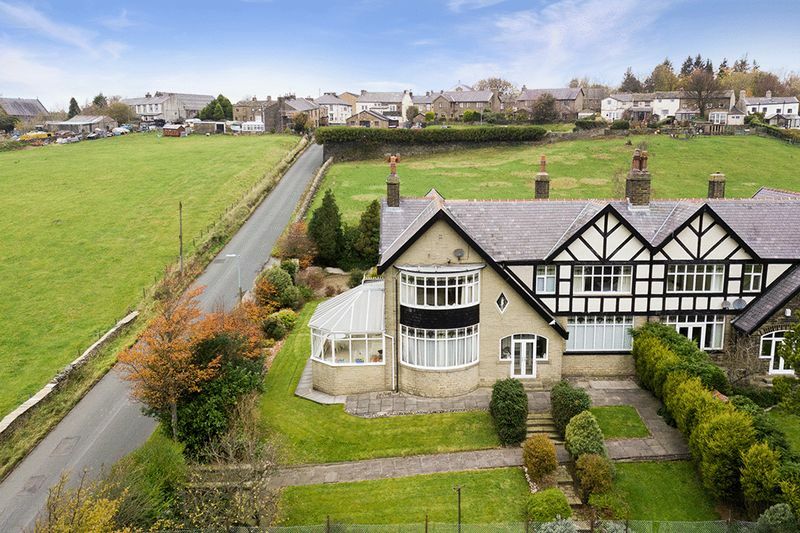 The property boast, front, side and rear gardens, bordering agricultural fields overlooking spectacular valley views. 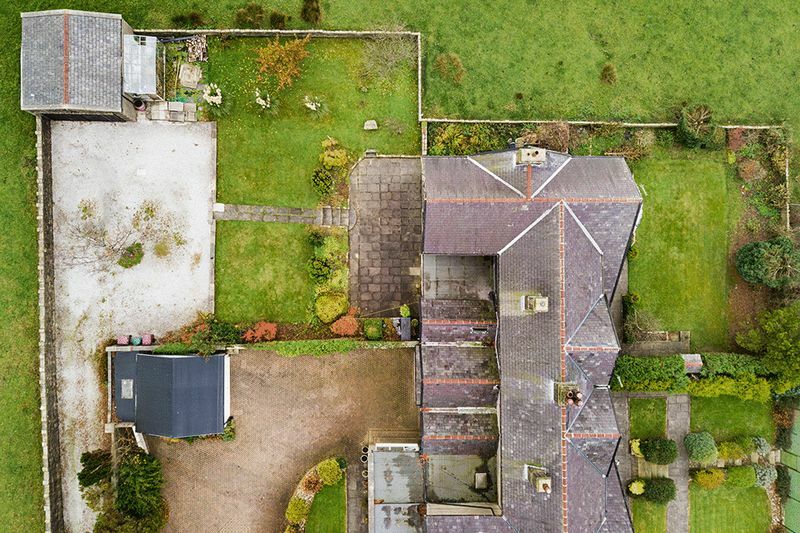 Situated to the front of the property is a private garden with veranda the garden is mainly laid to lawn with bordering perimeter mature flower beds with an array of garden trees, shrubs and hedges. To the side gardens are mature flower beds. 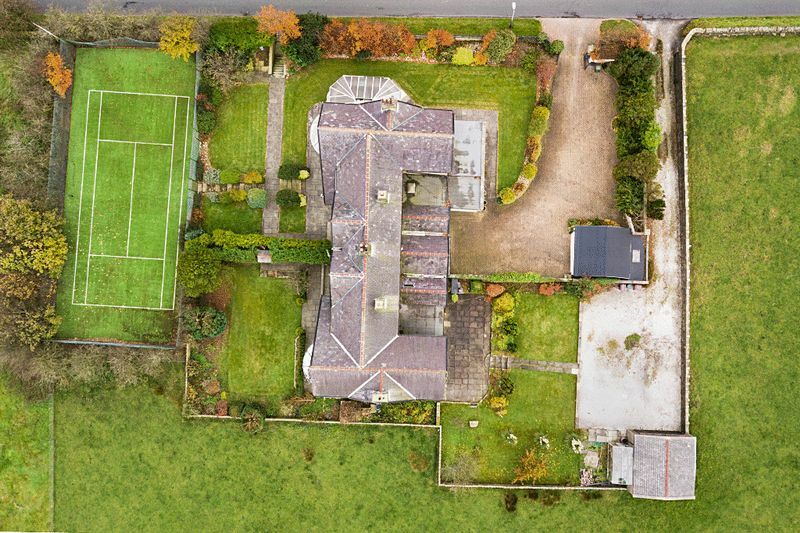 To the rear is a substantial garden, landscaped and mainly laid to lawn with its own stone patio with mature flower beds and private driveway for multiple vehicles including caravans or motor homes with in the driveway forecourt is a detached garage with lighting power and adjoining greenhouse.